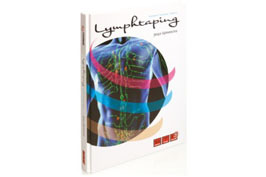 Next to the Medical Taping Manual of Harry Pijnappel, we have a new book in our collection, focussed on Lymph taping. The book is written by the author Josya Sijmonsma, one of the trainers in The Netherlands and purely focussed on Lymph taping. The books has 200 pages, is written in English, is full colour and can be ordered via the order form on the website or via the local distributor in your country.